I have been a bit neglectful of my phlog recently, so it's time for a bit of a catch-up with some of the miniatures I have been painting recently. Some loot objectives for the Vikings: some freshly-captured "wives", chests of booty, and a cart full of beverage. 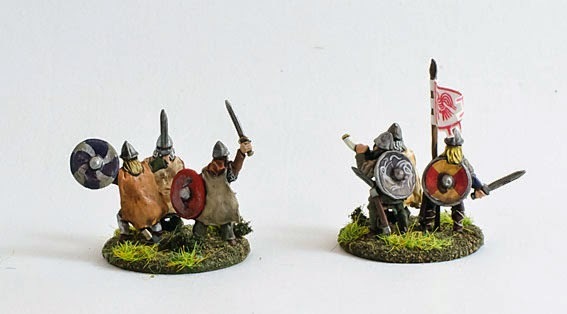 The whole Viking band together - 6 units of Hearthguard, 3 units of Warriors, and 2 Warlords. 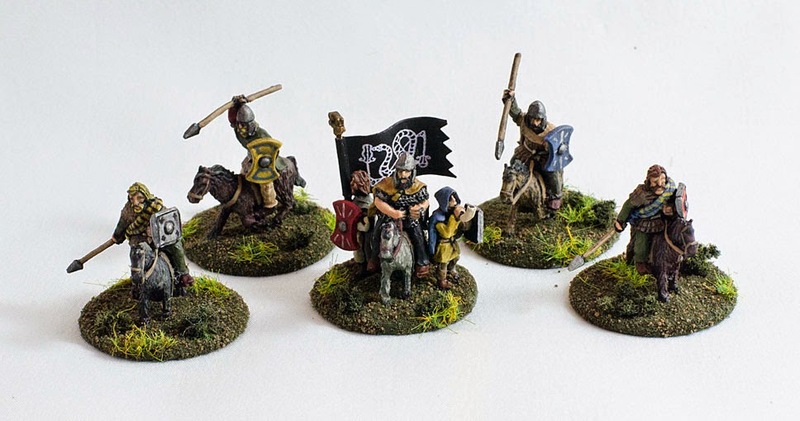 Some Pictish reinforcements: a unit of mounted Hearthguard, with a mounted Warlord. I finished painting these guys ages ago, but I can't remember what I have already photographed for the phlog, so here are a bunch. 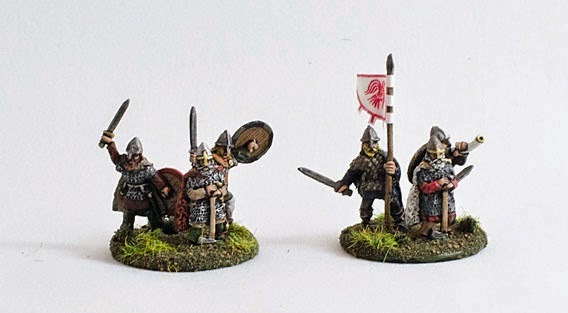 The total forces comprise four 4-point warbands, two Viking and two Pict, with some extra units available in case I want to change things up a bit. The Picts are all Splintered Light figures (very nice) and the Vikings are Khurasan (also very nice), with the exception of the loot-hauling objective counters, which are Peter Pig (also very nice). I have a few more objectives that are awaiting paint, including some priestly types. Very nice figures and superbly painted. I've not seen these figures before but thay are all nice sculpts.